Our popular vinyl floor cloths continue to inspire me, this year with licensed reproductions of William Morris designs. 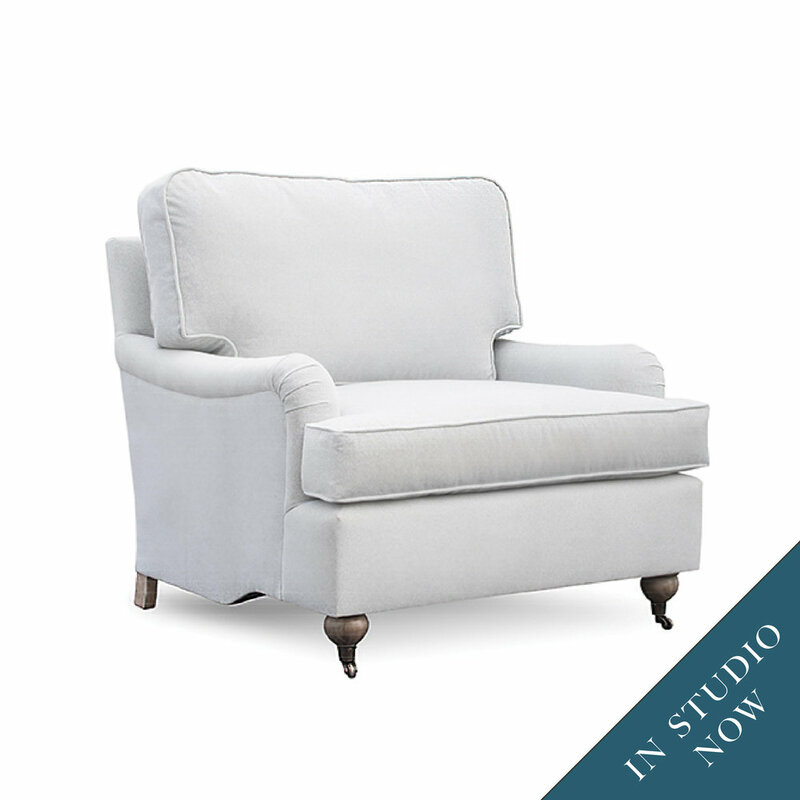 Named for the home where I first placed this graceful chair, the Fairmont is a light accent piece with high drama. Our mid-century Flint gets a high style reimagining with a little help from a bold graphic and a sumptuous bit of fluff. The washed taupe finish on our Halyard buffet is a perfect example of the warm-cool tones that I use in projects. Antique bed steps and a collection of new and found art capture the essence of my design aesthetic. The taupe washed Halyard appeals to me because it refines the farm table for a classic and versatile style. The Taylor Collection is everything a designer could want: endless style options in everything from chair to sectional. Our Carolina accent table is elegant and constrained, shown in glamorous silver with fused glass top. In putting this fabric story together, I drew inspiration from the vivid colors of an Indian textile market. This fabric story celebrates contrasts, mixing a smudged print with a crisp yet energetic black and white graphic. 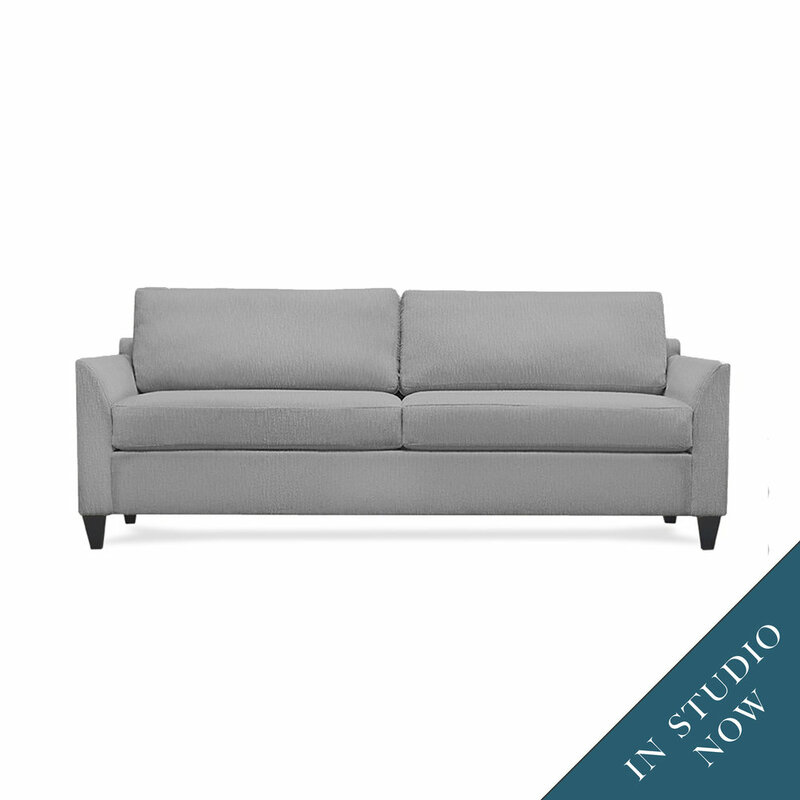 The versatility of our Studio collection grows with the new Greenwich, a sleek sofa with three arm options. The wood I selected for our Neptune table, our solid maple is selected for maximum grain contrast and natural pitting. Another piece that evokes Fischer's Cafe for me, I included the Godfrey chandelier to inspire dramatic design. A vibrant hand-crafted playo from Nicaragua is just one of many unique art pieces that I place in my designs. Our Ford chair found its way into a project last year and I've added it to the collection because of its compact simplicity. Our Neptune table is the perfect balance of sleek metal lines and substantial solid wood top. The first chair I helped design in my apprenticeship was a classic English arm chair. The style still inspires me today. A flecked herringbone echoes the colors in the Aztecan stitch work textile that enlivens this classic fabric story. The striking Ludlow lamp reminded me of the fabulous deco design influences at Fischer's Viennese Cafe in London. Our built-by-the-inch Vitruvian table is a designer dream, available as anything from coffee table to kitchen island. We've rolled out a new scent to add to our exclusive line of Nestology candles because home should smell heavenly. This fabric story is playful and vibrant, a perfect blend of colors and patterns for a warm and modern space. Our Escher mirror is framed in hand-rubbed solid wood with metal accents. Walnut is available on many of our made in America pieces, a wood that looks striking in modern and traditional styles. From purveyors in Canada, this series of whimsical bird prints makes a class motif playful and modern. A velvet carved into soft geometrics is the centerpiece to a fabric story developed for high contrast with fresh color. With raised accents on arms and back, the devil is in each stunning detail of our Crawford collection.